Being Honeymoon destinations near Pune, Lonavala tourism offers too many exotic surprises especially for the just married couples. 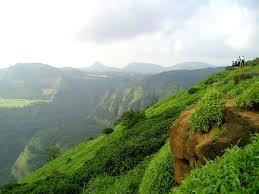 Lonavala or Lonavla is derived from the Sanskrit Word ‘Lonavli’. Being a part of the Sahyadri hills or the Western Ghat in Maharashthra, it offers a breadth-taking view of the Deccan plateau on one side and the Konkan coast on the other, among the top hill stations near Pune. Lonavala sightseeing places are visible everywhere one looks in this gorgeous hill station, if you are trying to experience nature sightseeing in Pune. Places to visit in Lonavla are plenty like Lohagad which is a majestic fort as well as a great trekking zone, and Duke’s nose which is also good for hiking. 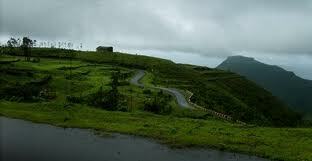 Bhushi Dam and water fall, Rajmachi point and Tiger’s Leap are also Lonavla places to visit. These places could also be travelled to on a day trip-in case one is travelling from the nearby cities of Pune or Mumbai or is a local and constitute Lonavla picnic spots. 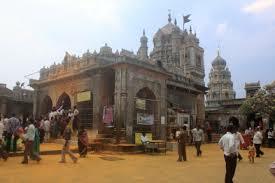 One of the best places if you are looking for places near Pune for one day trip or places to visit near Mumbai. 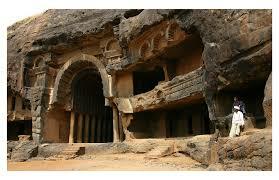 Lonavala is widely known for its plethora of virgin caves yet uncharted by human civilization. Case in point is the Karla Caves which dates back to the second century and contains the largest and probably the finest collection of the Chaityas. There is a temple at the mouth of the cave. There are many things to do in Lonavla. One could go exploring the caves, or forts, go on a trek, visit the nearby waterfalls, or simply take a walk amidst nature’s spoils in any given point in Lonavla. It is a destination to forget all worries and have a relaxed time. Ideal for weekend getaways near Mumbai or Pune. One of the Lonavla attractions is the produce in the region, that is, strawberries. Berries are very famous here and can be enjoyed by everyone while it is in season. Other than that, people come here to try out the famous chikki unique to this place. 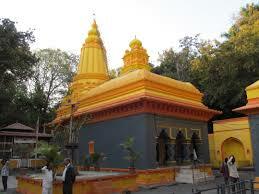 Lonavla points of interest is never ending and have been mentioned above. However, Khandala, the twin hill station to Lonavla, too spoils the tourist for choice in terms of things to do or places to see, fantastic as honeymoon destinations near Pune. 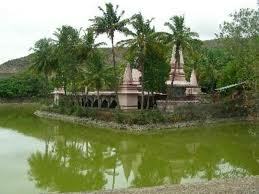 Both of them are among beautiful places in Pune. Accommodation in Lonavla is easy to come by and there is something for every need or budget. Lonavala is the perfect hideout for all nature lovers who want to get away from the pandemonium of the cities for a few days and spend some time in the lap of nature. It has become a popular place for people to purchase vacation homes considering the immense attractions it has to offer. It offers excellent views from the tiger hill, for those who are looking for Pune sightseeing, excellent honeymoon destinations near Pune for newly wed couples. Rajmachi Point, Shooting Point are exquisite and picturesque points in Lonavla. 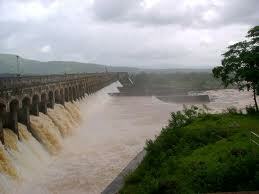 Valvan Dam and Bhushi Dam are majestic water bodies that must be visited. Bhushi dam has its own waterfall which is popular with the tourists. Lonavla Lake is a tourist’s paradise to see and to be in. 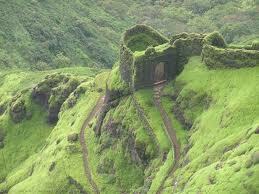 Lohagad Fort is a great trekking option and the place is replete with history. Wax Museum is a fun place to visit with families and a good way to spend time while visiting Lonavla. Ryewood Park and Shivaji Udyan are two more great tourist attractions in Lonavla, making it a honeymoon destinations near Pune. Attraction: Rajmachi Point, Ryewood Park and Shivaji Udyan, Valvan Dam, Lonavala Lake, Lohagad Fort, Shooting Point, Wax Museum.